After a weekend visiting some of my college roommates for the weekend, today is a day that rings greatly of "back to reality." For three days I talked, laughed, shared and reminisced with friends with whom I walked through 4 amazing years at college. Today, I folded laundry, placed a bandage on a little boy's "ouchie," went grocery shopping, made dinner, picked up the house and helped with some homework. Yes, it's my life and I absolutely love it, but I can't help noticing the stark difference. When I returned home yesterday afternoon, G pointed out that some of our sweet pea plants have buds on them. Hooray! Our garden is growing and it won't be long before we start harvesting. Once we begin harvesting the peas, it won't be long before our other plants start producing too. Once summer arrives, our garden starts sprouting zucchini at an incredible pace. 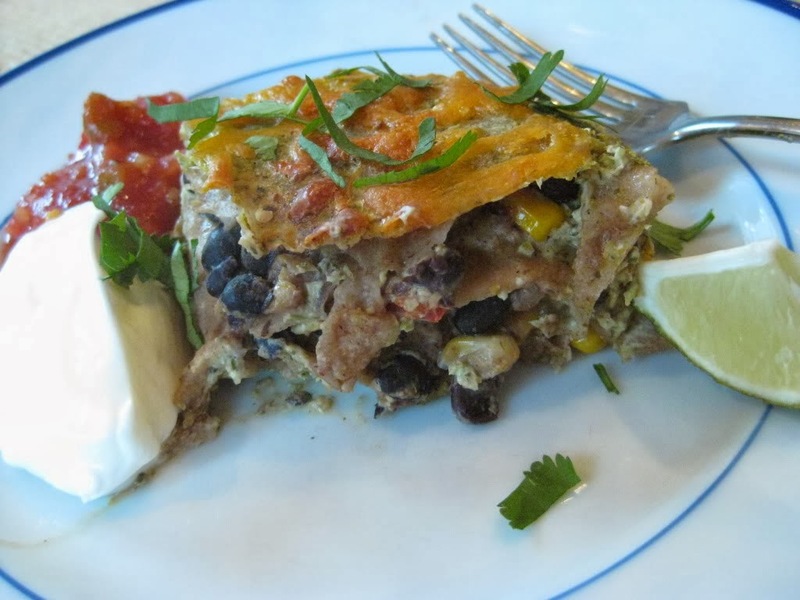 Here’s a fun recipe to try with zucchini, whether home-grown or store bought. I took the components of bruschetta, an Italian appetizer that is essentially bread, with garlic, tomatoes, olive oil, salt and pepper and jazzed it up and stuffed the zucchini with them. Cut off the ends of each zucchini and cut in half lengthwise. 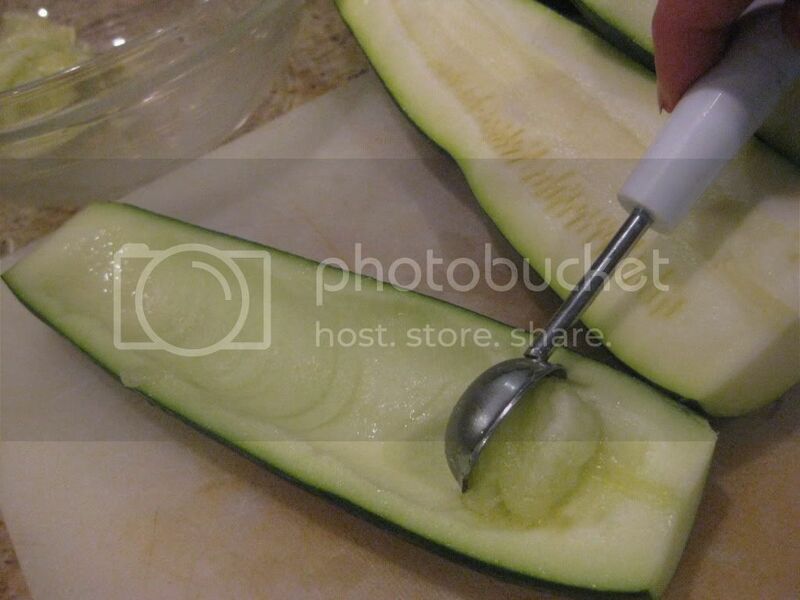 With a melon baller or small spoon, scoop out the inside flesh of the zucchini. Scoop as much of the zucchini out as you can, without tearing the skin. Take the flesh of the zucchini and chop roughly, setting aside. Place the halved zucchini in a steamer and steam over boiling water for 3 minutes. Alternatively, place in a microwave safe dish and cook on high for 1-2 minutes or until fork tender but not mushy. Set aside. Meanwhile in a medium skillet over medium high heat, add the olive oil. Once warm, add the garlic and onion and cook for 3-4 minutes. Add the tomato and reserved zucchini flesh. 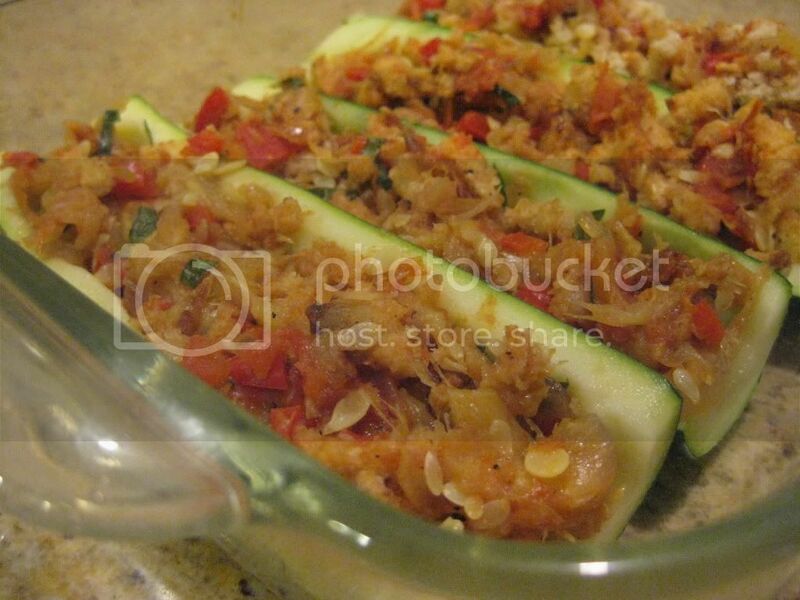 Cook for an additional 3-4 minutes or until the zucchini flesh is very tender. Add the salt and pepper and stir well. 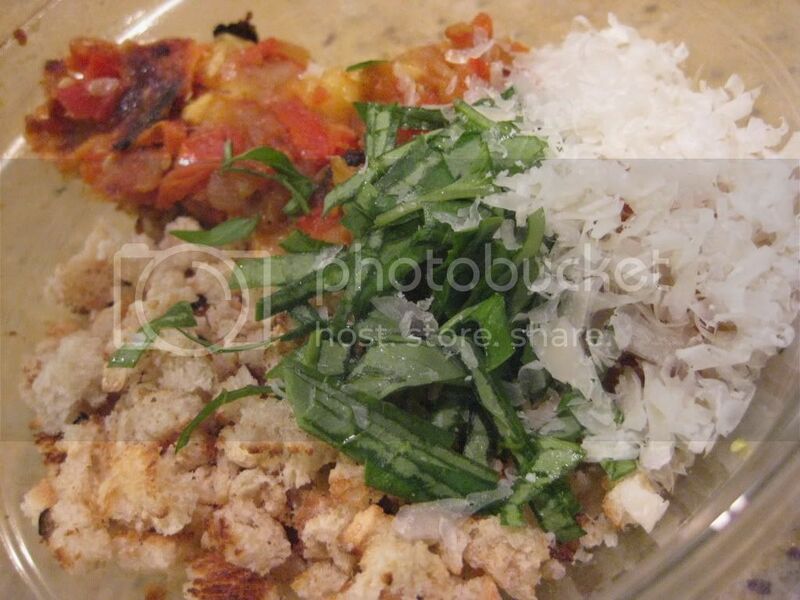 In a bowl, combine the zucchini flesh mixture, bread crumbs, basil and cheese. Stir well to fully incorporate. Place under a broiler for 3-4 minutes, or until the top browns slightly. 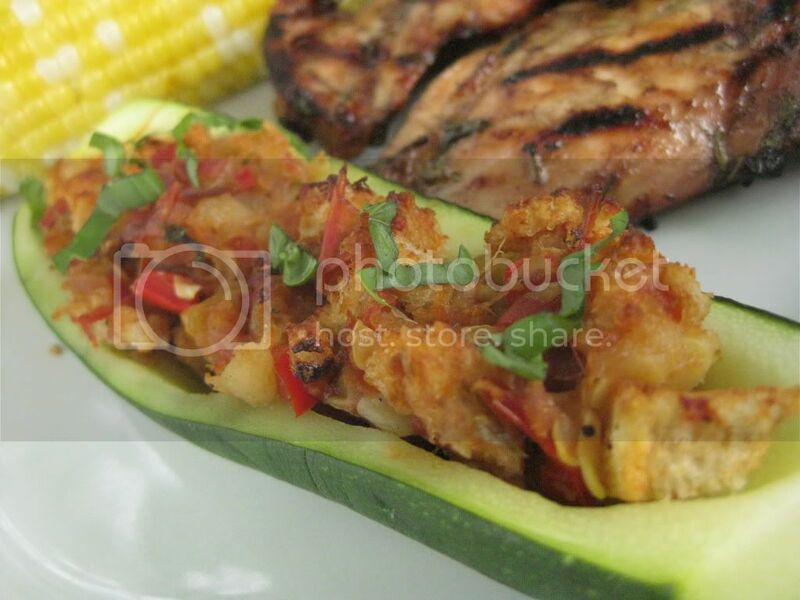 We call these yummy creations zucchini boats! Thanks for the great (and fun) recipe!! I am so glad you enjoyed the recipe and that your son was asking for you to make a vegetable recipe!! :) Thanks for sharing! !